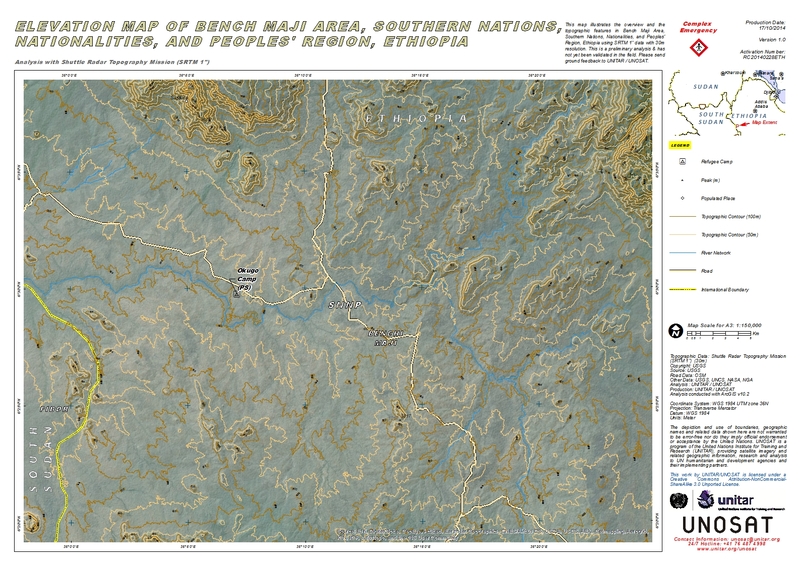 This map illustrates the overview and the topographic features in Bench Maji Area, Southern Nations, Nationalities, and Peoples' Region, Ethiopia using SRTM 1" data with 30m resolution. This is a preliminary analysis & has not yet been validated in the field. Please send ground feedback to UNITAR / UNOSAT.